Northern Vancouver Island VIRAL HEPATITIS Outreach Roadshow Trip 2018 – March 12 – 21, 2018. We are happy to announce that a 10-day roadtrip to northern Vancouver Island is just around the corner! We will be bringing hot-off-the-press posters, pamphlets, and audio-visual resources to community organizations and Friendship Centres, band health centres, and health clinics. See links to some of the resources we’ll be bringing, below the itinerary. We’ll be available to speak and give presentations to nursing staff, band officials and CHRs, patients, and the public. Ontario: Provincial funding for hepatitis C drugs a game changer, health professionals say. Changes spurred by development of minimally invasive drugs with extremely high cure rates. 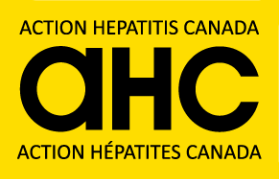 Health professionals are voicing excitement about new changes regarding the availability of hepatitis C treatment under Ontario’s Drug Benefit program. The Ontario government says it will cover the cost of medication for all hepatitis C patients, regardless of the severity of the disease, a move that’s being touted as a game-changing decision by health professionals. Lack of hep C treatment for N.S. inmates missed opportunity in disease control: advocates. Health-care practitioners say the lack of treatment options for provincial inmates with hepatitis C is creating inequities in health care and missing an opportunity to control the spread of the disease. Newer drugs make hepatitis C-positive kidneys safe for transplant. People who received kidneys from donors infected with hepatitis C did not become ill with the virus, thanks to treatment with newer drugs that can cure the disease, a small study reports. 7 reports on liver transplant outcomes in patients with HCV. The following recent reports cover liver transplantation outcomes and waitlist predictive factors related to HCV infection, including cases in which patients also had diabetes, and comorbidities such as hepatitis B, as well as the safety and efficacy of preemptive DAA therapy. Tenofovir disoproxil fumarate (TDF) not beneficial for reducing mother-to-child transmission of hepatitis B when added to existing preventatives. Tenofovir disoproxil fumarate (TDF), an antiviral drug commonly prescribed to treat hepatitis B infection, does not significantly reduce mother-to-child transmission of hepatitis B virus when taken during pregnancy and after delivery, according to a news release from the NIH. Managing HBV Infection Following Liver Transplant: Expert Q&A. Prior to the introduction of effective prophylactic therapy, liver transplantation in patients infected with hepatitis B virus (HBV) resulted in high rates of viral recurrence, allograft loss, and mortality. One retrospective study found the risk of HBV recurrence to be as high as 75% in liver transplant patients who were not given immunoprophylaxis. Therapeutic advances in the past 2 decades, however, have drastically changed the outlook for patients infected with HBV. Japan: Couple held over bogus hepatitis C drug served fresh warrant over fake Harvoni tablets. A couple were arrested anew on suspicion of selling a counterfeit version of the hepatitis C drug Harvoni to a wholesaler. The Metropolitan Police Department arrested Yoshimi Kase, 49, and her husband, Takayuki, 43, on suspicion of violating the pharmaceuticals and medical devices law.